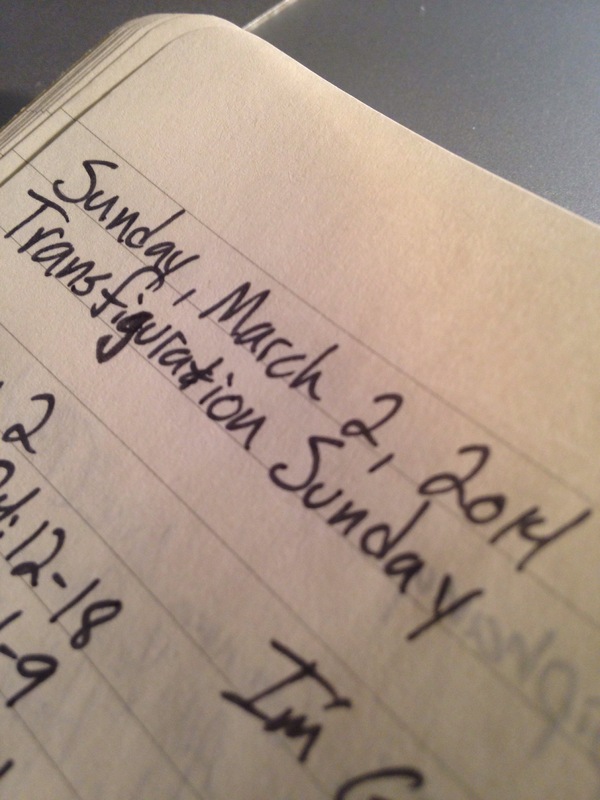 This Sunday is Transfiguration Sunday. The New Testament reading alludes to the Exodus passage. In both cases, Man meets God atop a mountain. I was struck by Matthew 17:5. “While he was still speaking, behold, a bright cloud overshadowed them…” I always imagine a dark cloud because of the word “overshadowed.” However, Matthew tells us that it was a “bright” cloud. How is it that a bright cloud can exist? What is a bright cloud? How can a cloud be bright? Nave’s Bible Dictionary points out that the transfiguration of Christ did not occur because a bright light shone on him but because glory came from him. The brightness of the cloud reminds me of the light resting on the heads of the apostles at Pentecost, the light God created in the beginning, and glory of the burning bush. Christ does not receive, reflect, or absorb light but gives it. As we consider these themes this Sunday, we will sing Glory to the Lord Our God (written by Steve Merkel, recorded by Robin Mark). It reminds us that we can only ascend to the “hill of the Lord” if Christ has invited us as he did Peter, James, and John. Chris Johnson’s song, Radiance, also seems appropriate as it tackles Christology with language such as radiance, representation, and sustaining. We will close our service Robin Mark and Vicki Beeching’s One Day (“Yours is the kingdom, the power, and the glory forever and ever, amen”). The service will begin with “I’m Gonna Live So God Can Use Me (Psalm 15).” Because this is the last Sunday of Epiphany and Lent begins on Wednesday, this will be our final week to sing this Psalm for a while. We will learn a new Psalm in the coming weeks. This entry was posted in Worship Notes and tagged ateve merkel, church calendar, robin mark, transfiguration, vicki beeching on February 26, 2014 by peenerbutter.